Kathe Hoots is a Partner in the Dixon Hughes Goodman (DHG) Healthcare Industry Practice Group and has over 25 years of experience related to healthcare. Her primary focus is the healthcare regulatory environment and assists our clients with a vast array of Medicare and Medicaid reimbursement services as well as other related consulting projects such as 340B compliance. In recent years, Kathe specializes in Medicare and Medicaid Disproportionate Share (DSH), including Worksheet S-10. Additionally, she began her healthcare career working directly for hospitals in accounting and budgeting, and she has had hands-on experience in healthcare information systems and installations. Her healthcare background has allowed her to work for an international accounting firm and with a variety of healthcare entities from large urban hospital systems to small rural facilities. Omar Gray serves a VP of Revenue Cycle Operations with R1 RCM, a leading provider of revenue cycle and physician advisory services to healthcare providers. Omar‘s current responsibilities include delivering P&L improvement, transformation management and optimization of revenue cycle opportunities with Ascension Florida. Omar brings 12 + years of consulting and project management experience inclusive of patient access, hospital business services, managed care contracting and CBO operations. Prior to R1, Omar’s responsibilities included project execution of large scale implementations, business development and turning around unprofitable hospital operations with Deloitte Consulting LLP and Optum 360. A graduate of Faulkner University (BS), Omar also holds a Master of Healthcare Administration degree from Troy University. Dr. Marc A. Sweeney received his Bachelor of Science in Pharmacy degree from Ohio Northern University and received his Doctor of Pharmacy degree from The Ohio State University. He completed an Academic Leadership Fellowship at Ohio University College of OsteopathicMedicine. Dr. Sweeney also completed a Master of Divinity degree from Southwest Bible College and Seminary. Dr. Sweeney is a board-certified medical affairs specialist (BCMAS) and is certified in pharmacogenomics, pain management, immunizations, and palliative care. Dr. Sweeney is the founding and current Dean and Professor of Pharmacy Practice at Cedarville University School of Pharmacy and is the Chief Pharmacy Officer and VP of Care Services of InXite Health Systems. He is also the co-founder and CEO of Profero Team, LLC, a pharmacy and health care consulting company. His past professional experience includes full and part-time roles in academia, hospice, ambulatory care, long-term care, homecare, and specialty pharmacy consulting. He is the Past President of the Ohio Pharmacists Association(OPA). He currently serves as President of Cedar Care, LLC, a pharmacy service company for Cedarville University. He has served on several committees within OPA, the Ohio Society of Health-Systems Pharmacists, American Association of Colleges of Pharmacy, local pharmacists associations, healthcare institutions and universities. He has been a board member of the Ohio Pharmacists Association, the Ohio Chapter of the American Society of Consultant Pharmacists, the Centers for Osteopathic Research and Education and the Christian Pharmacists Fellowship International. Dr. Sweeney has published several articles and book chapters pertaining to pharmacy practice and has made many presentations to healthcare professionals and the general community. He has built several innovative practice models, strategies to reduce health care costs, value-based care health care models, and educational programs and training programs. Dr. Sweeney lives in Xenia, Ohio with his wife and three children. He enjoys running, biking, playing piano/keyboards and serving in his local church. Paul Perry has been with the Firm since 2004 and is a Member and the practice leader of the Risk and Controls Division of Corporate Advisory Services. Paul and his team focus on risk assessments, internal control and information technology control-related projects, including Service Organizations Control engagements. Paul is also the leader of the Firm’s Data Analysis Group, a team of individuals within the Firm who provide data analysis solutions to both internal and external clients. For more than 11 years, he specialized in auditing and assurance services. Paul has extensive experience serving clients in the nonprofit, governmental, financial, insurance and healthcare facilities/hospital industries. Paul has earned the Certified Information Technology Professional (CITP) certification. This credential is awarded to CPAs who possess both information technology and business expertise. Paul has devoted the last three years to control and technology related engagements. Paul is also a published author, columnist and regular speaker on topics such as data analysis, internal controls and information technology for accountants and auditors. In the last three years, Paul has performed more than 25 external presentations on a wide variety of technology and control related topics to groups including the ASCPA, HFMA, IIA and ISACA. Paul resides in Birmingham, Alabama with his wife and three kids. In a career that spans 27 years in healthcare, Schroeder has worked in case management/utilization review, information systems, and revenue cycle. She holds undergraduate degrees in health information management, accounting and management information systems. She received an MBA with a healthcare leadership certificate from Park University in Kansas City, Missouri. Kelli Schroeder has been the director of patient account services at North Kansas City Hospital, a 451 bed hospital, for 13 years. In that role, she is responsible for converting over $1 billion gross revenue per year into cash receivables. Areas she oversees include billing, follow-up, denial management, financial counseling, customer service, and cash posting functions. She has designed and implemented two new revenue cycle systems, the most recent went live in November 2018.She received her CHFP credential in June, 2016.She currently serves on the Medicare J5 POE advisory group and served on the Heart of America Board of Directors as well as serving as the web chairperson from 2015 to 2017. Todd Cox is the managing director at HTC Advisory Services LLC. Todd is a Certified Public Accountant and has more than 24 years of healthcare experience and has spent more of his career at hospital providers ranging from critical access hospitals to multi-hospital health systems. Todd is a fellow of both FACHE and HFMA and is the 2017-2018 president of the Georgia Chapter of HFMA. Todd has a BBA in accounting and a master’s degree in business from Georgia Southwestern State University. Todd has authored articles for various industry periodicals and is a regular speaker on healthcare topics. In his spare time Todd enjoys most any outdoor activity and is an assistant scoutmaster with Troop 80 in Watkinsville, Ga.
Lee Ann has been in healthcare for over 30 years. She received her undergraduate degree from Lipscomb University and her graduate degree from the Owen Graduate School of Management at Vanderbilt University. She is recognized as an experienced rLee Ann has been in healthcare for over 30 years. She received her undergraduate degree from Lipscomb University and her graduate degree from the Owen Graduate School of Management at Vanderbilt University. She is recognized as an experienced reimbursement professional with 15 years of demonstrated experience specific to reimbursement - with current knowledge at the expert level regarding current rules & regulations. Her previous experience includes consulting, multi-hospital system reimbursement, and hospital Comptroller while working for both for-profit and not-for-profit health systems and corporate offices. Currently, she is the Director of Finance at Williamson Medical Center. She has the designations of CPA, MMHC, CSBI and FHFMA. 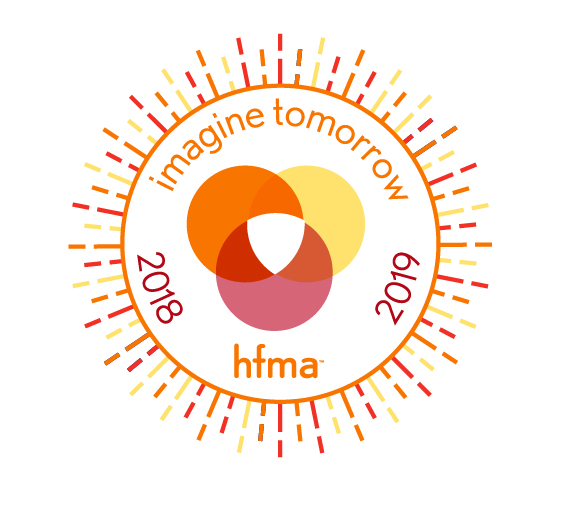 An active member of the Healthcare Financial Management Association (HFMA), she has served as Treasurer, Vice-President, President-elect, President, Parliamentarian and Chairman of the Board for the Tennessee Chapter. She has received the Follmer Bronze, Reeves Silver, Muncie Gold Merit Awards, the Medal of Honor and the Ira M. Lane Award for sustained service to the Chapter. She has also served as the Region V Regional Executive for HFMA National, and most recently on HFMA’s National Board of Examiners. Chris Kenny is a partner in the law firm of King & Spalding in Washington DC. Chris specializes in providing strategic payment and compliance advice to healthcare providers participating in Medicare, Medicaid and commercial insurance plans. He has in-depth knowledge of payment systems and regulations, including the Medicare provider-based regulation, the 340B Drug Pricing Program, reimbursement for organ acquisition and nursing and allied health education, and innovative payment models. Chris represents providers in False Claims Act investigations by the U.S. Department of Justice. He also represents hospitals in Medicare payment litigation, and before Congress and the administrative branch. He is a member of the Healthcare Financial Management Association and the American Health Lawyers Association, and is the co-editor of the Reimbursement Advisor, the leading national healthcare reimbursement publication. Michelle Fox is the Director of Revenue Operations/Patient Access at Health First in Brevard County, Fla. She is responsible for directing the revenue cycle front end operations of the Patient Access department supporting four not for profit hospitals, fifteen diagnostic centers, and a 300+ employed physician group. Michelle implemented a patient service specialist function called “One-Call for All” which encompasses scheduling, pre-registration and payment collection. Additionally, she developed and facilitated implementation of a best practice point of service cash collections programthat resulted in a 30 percent increase in time of service payments, ultimately bringing in approximately $500K more upfront the first month and continues to hit on average 2.5 percent of net revenue. She manages day-to-day operations of 200+ associates and has earned a Gallup Survey World Class Leader designation. Michelle is nationally certified in Healthcare Access Management. She holds a Bachelor of Health Science Education, a Master of Health Administration and a Master of Business Administration from the University of Florida, Gainesville, Fla. Michelle recently graduated with her doctorate in Business Administration with a dissertation focus on pricing transparency in healthcare. She is an active member in HFMA and NAHAM and serves on the NAHAM Board as the Vice President. Rodney Adams is the Director of Patient Access for Williamson Medical Center in Franklin, TN. In this role he has responsibility for scheduling, insurance verification, prior authorizations, pre-registration and registration. Adams has been with Williamson Medical Center since October 2016. Prior to joining Williamson Medical Center he was with Maury Regional Medical Center for almost 12 years, holding various roles during his tenure there, including Pre Service Manager, Patient Access Director, and Revenue Cycle Director. He has lead various revenue cycle projects in his career including implementation of POS Collections and the creation of Pre Service functions at multiple hospitals, increasing clean claim rates from 60% to over 90%, developing the process and methodology to provide analytics to support managed care negotiations, as well as multiple revenue cycle software installations and conversions. Adams holds a Bachelor’s Degree in Business Administration from Warren National University and a Masters of Management in Healthcare (MMHC) from the Owen Graduate School of Management at Vanderbilt University. Laura Aylward has more than 15 years’ experience in marketing, strategy, and consumer engagement in healthcare and consumer products. Laura is currently the Vice President of Marketing and Strategy at CarePayment, a patient financing company that partners with providers to offer patients affordable payment options in order to ensure high out of pocket costs do not deter patients from getting the care they need, or from meeting their financial obligations to their providers. In addition to traditional marketing responsibilities, Laura and team are responsible for conducting ongoing qualitative and quantitative research with patients and providers to capture feedback and insights on program satisfaction and needs, and for the crafting and execution of custom patient engagement programs for their provider partners to ensure patients are highly satisfied with the co-sponsored CarePayment program, and their overall financial experience in healthcare. I am Director of Patient and Family Advisory Councils at the University of Miami Health System. Prior to this position, I was General Manager for Health eTools, an electronic health record software provider for school nurses in Pennsylvania. I am an Ambassador for the Patient Centered Outcomes Research Institute (PCORI) and serve on several committees for three multi-site PCORI research projects. I was founding co-chair of the Patient Family Centered Care (PFCC) council in the Department of Psychiatry at the University of Michigan as well as serving as a patient/caregiver member of the Institutional Falls Committee for the Medical Center. I am a member of the National Alliance on Mental Illness (NAMI) and serve as a teacher forthe NAMI Family to Family program. My involvement with PCORI, PFCC, and NAMI are a result of my caregiving responsibilities for several extended family members and for my son. In each of these organizations, I have presented, written, and advocated for the improvement of the patient experience and patient care. My employment history also includes 20 years as an administrator in Internal Medicine in the divisions of Hematology/Oncology, Rheumatology, Allergy, and Endocrinology and Metabolism at the University of Michigan. As a results-oriented executive healthcare leader I lead, influence and inspire innovations that promote, encourage and propel the business development and sustainability of Patient and Family Caregiver Engagement. The lived experiences of patients and family caregivers when enunciated, powerfully transform the hearts and minds of health care clinical staff and leadership to create an empathic, compassionate work environment. This leads to restoration and rejuvenation of the healthcare team. Currently lead 15 directors and 500 professional and support staff. Valued for strong, principled leadership, innovative business development, consultative patient engagement leadership in the Middle East, Israel, China and USA and process-planning and improvement. Rob Parker, MBA, CMPE, CPXP is the Administrative Director and Patient Experience Officer for Memorial Physician Group which is a division of Memorial Healthcare System in Hollywood, FL. In this capacity, Rob has operational responsibility for 17 specialty divisions, 160 physicians and 200 employees. Prior to joining Memorial Rob was in two integrated systems in Pennsylvania and was an administrator for a very large primary care group. Rob also served 23 years in the Air Force as a flight medic. Rob’s passion and dedication to the patient experience have been a part of his journey in every position he has served. Rob became certified as a Patient Experience Professional in 2016. Rob’s mission at Memorial has been to elevate the focus of the patient experience and engage all stakeholders in the conversation of the importance of the patient experience in reducing suffering and improving clinical outcomes. Rob has been a presenter on the topic of the Patient Experience both locally and nationally. In these presentations, Rob works to inspire healthcare leaders from all areas to make sure the patient's voice is heard as it not only leads to better financial performance but helps patients live healthier lives.